With Mother’s Day just around the corner we thought we’d dedicate our day to creating something lovely for mums! You will need scissors, glue, coloured card and pens. Fold one piece of card down the middle and twice more into six equal squares. Cut out these squares. Use one square as a template and cut an additional square, to give you seven in total. Fold the square diagonally. Fold again and again. Trim the wider end so that it become rounded. 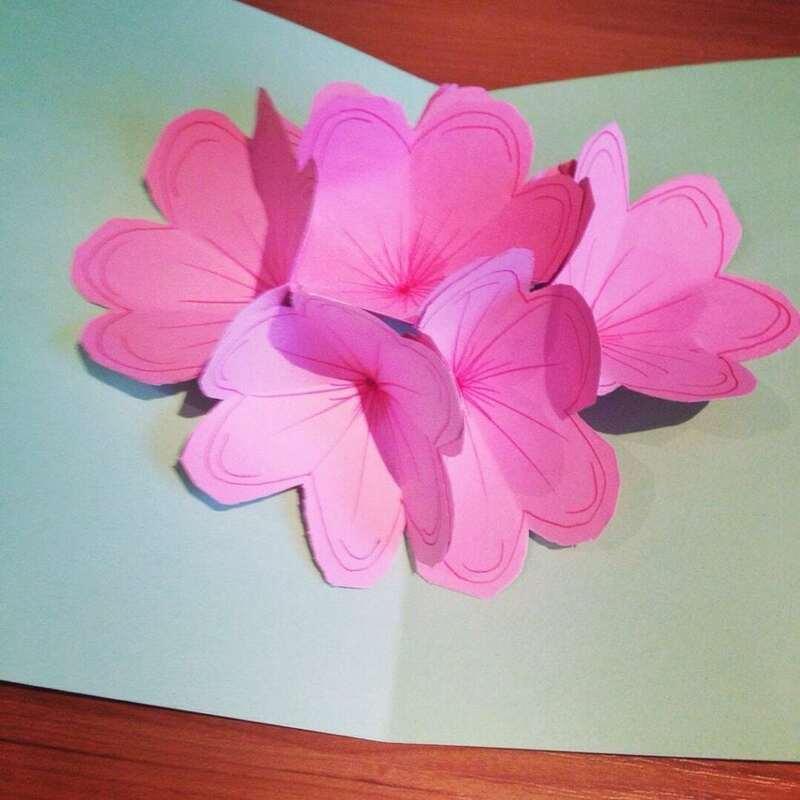 Unfold each piece into a flower shape. Decorate and cut away one petal. Stick one of the remaining petals onto another to close the gap. Fold flat and stick the third petal of one flower to the first of another. Then the first of another to the third of the second flower. The next flower should be glued directly in the centre. The final layer repeats the same pattern as the first. Fold another piece of card into an A5 booklet shape. Lay the flower group on the card like so. Glue ONLY the central petal to the card. Put glue on the direct opposite petal and close the card. Once dry, you will have a pop up bouquet when you open the card.